Experience the atmosphere of the Côte d'Azur in a luxury villa! In the South-East of France, the Côte d'Azur is the ideal place for a stay of luxury and pleasure. A superb cocktail of splendid beaches, turquoise sea and prestigious seaside resorts awaits you. The French Riviera stretches from Menton to Bandol, where the preserved beaches, like those of Roquebrune-Cap-Martin, La Londe-Lès-Maure or Rayol follow one another and are not alike. With its mild and sunny climate, this coast promises pleasant moments to share with family or friends. The programme of your getaway: swimming, sea trips, quiet walks and shopping of course. Added to this is a wide range of water activities: scuba diving, kayaking, sailing, surfing and kitesurfing... the list is far from exhaustive! On this well known coast, vacations undeniably make sense. Treat your palates in gourmet restaurants, escape on the island of Porquerolles, enjoy the effervescent animation of marinas at the end of the day, stroll in the evening by the sea... With a villa rental on the Côte d 'Azur, be close to the most beautiful assets of the region! Our properties, just a few steps from the sea, combine luxury, comfort, relaxation and leisure. 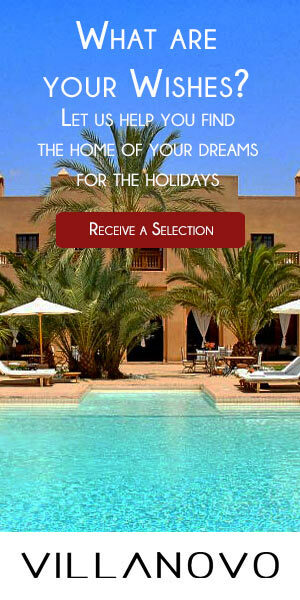 In short, all the essential ingredients for an unforgettable holiday! The French Riviera is full of charming seaside resorts. Saint-Tropez, the star of the region and the meeting point of the jet-set, is famous for its pretty lively or quiet beaches that extend over 11km. Depending on your wishes, you can indulge in swimming, windsurfing, water skiing or kitesurfing. By choosing one of our beautiful villas beside the water, you will have the privilege to enjoy these activities according to your desires! With its 8km of sandy beaches and the Lérins Islands off the coast, Cannes will also seduce you. Swimming, jet-skiing, parasailing... a whole programme awaits you for an exceptional holiday. There will be more opportunity for activities if you choose to stay in a luxurious villa located close to the sea or in a residential area. You will enjoy a peaceful and intimate setting to relax, bask in the sun, party or organise barbecues, a real tailor-made stay. This week, we will present in detail the beautiful destinations of Cannes and Saint-Tropez!